Bio-resources such as straw, bark, forest residues and sunflower husks could hold the key to a more environmentally-friendly future for Europe’s process industry. If they can be successfully utilised, these sustainable resources could directly replace the fossil-based materials currently used. Bio4Products will demonstrate how these four bio-resources can be exploited, creating renewable and natural alternatives to fossil-based processing streams such as bitumen, phenols and creosote. The project will also demonstrate the integration of these sustainable resources into four end products: phenolic resins, insulation foams, sand moulding resins, and modified wood. The overall objective is to create four products for which at least 30% of the original fossil-based stream is substituted with sustainable resources, and which deliver a 75% reduction in greenhouse gas emissions. Bio-based products – products wholly or partly derived from materials of biological origin – can make the economy more sustainable and lower its dependence on fossil fuels. For this reason, the EU has declared the bio-based products sector to be a priority area with high potential for future growth, reindustrialisation, and addressing societal challenges. However, making products from biomass is a complex business. Innovative projects, such as Bio4Products, are vital to develop the technologies that will enable industry to unlock the potential of the bioeconomy, paving the way for a whole range of bio-based product groups. A state-of-the-art technique called fast pyrolysis will be employed, which transforms solid biomass into a flexible bio-oil in a matter of seconds. A fractionation demo-plant will be constructed to separate the oil into lignin and sugar fractions, bio-based intermediates which can be integrated into existing production processes. As well as an environmental impact assessment, the project will conduct a detailed economic and market study to develop a strong business case for the four end products, and the overall value chain. 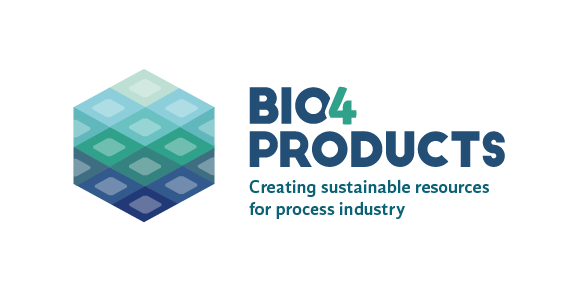 With considerable potential to include its sustainable resources in other product ranges, Bio4Products can help lay the foundations for a more innovative and sustainable process industry in Europe. BTG Biomass Technology Group from the Netherlands is an independent SME active in consultancy & project development, and research & technology development. The further improvement of the fast pyrolysis process and development of various FPBO applications are the core activities of the RTD department, while BTG Consultancy provides advisory services focusing on socio-economic impacts and LCA of bio-energy systems. Foreco Dalfsen B.V. (Foreco), innovators in timber, is a family owned firm in the field of timber products with a history of over 30 years. The company is active in the field of wood protection and sustainable development. Within several national and international networks the company has managed to make a significant contribution to the development of award-winning new technologies for wood protection and wood modification. TransFurans Chemicals (TFC) is a pioneer in furan chemicals and the world leading producer of furfuryl alcohol, a biomass based chemical. Their main markets are the foundry and refractory industry were furan chemicals are the base material for thermoset resins in demanding high temperature applications. TransFurans Chemicals is a keen investor in innovation and actively expands the application platform of its products. E4tech is an international strategic consultancy that works with companies, governments, and investors to help them understand the global opportunities and challenges of clean energy and sustainable development. E4tech supports their clients through strategy development and business planning, market and competitor analysis, due diligence support, and policy analysis and development. Capax Biobased Development is an SME that specialises in turning biobased products into success. Based in the vicinity of Brussels, the versatile team of the company uses disruptive approaches to facilitate investors, technology providers and project development in order to take the right decisions, answer to real market demands, find new market opportunities and boost their sales. Greenovate! Europe is an independent expert group dedicated to the development of sustainable business. They cover all parts of the innovation value chain, bringing together the expertise required for technology and service developers to successfully transfer research to market. They bring together over 500 experienced innovation advisers and 2,000 technical experts from 14 countries, providing all of the expertise needed to support the innovation process.